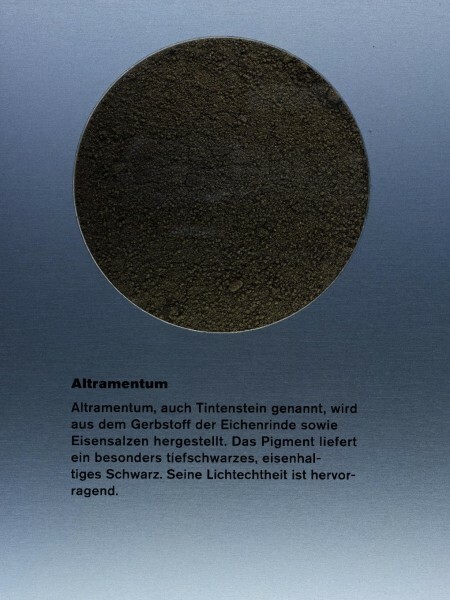 Atramentum | KREMER-made and historic Pigments | Pigments | Kremer Pigments Inc. 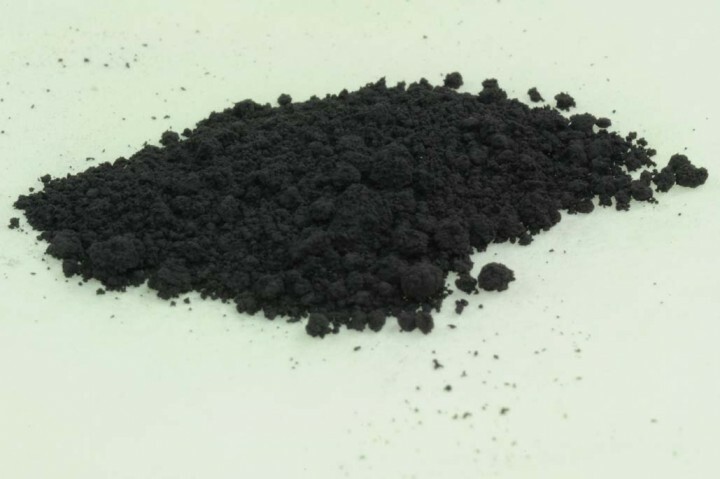 Produced from the tannic acid of oak bark in a reaction with iron salts, Atramentum is a deep black material that differs from carbon or iron oxide blacks. 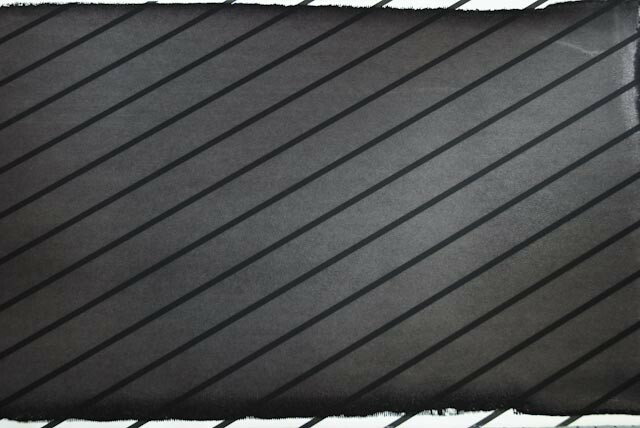 Historically also called "ink stone," it appears grayish black in watery media, which can act corrosive on paper supports. However, in linseed oil or resinous glazes this pigment develops its incomparable depth and lustre. Very lightfast.